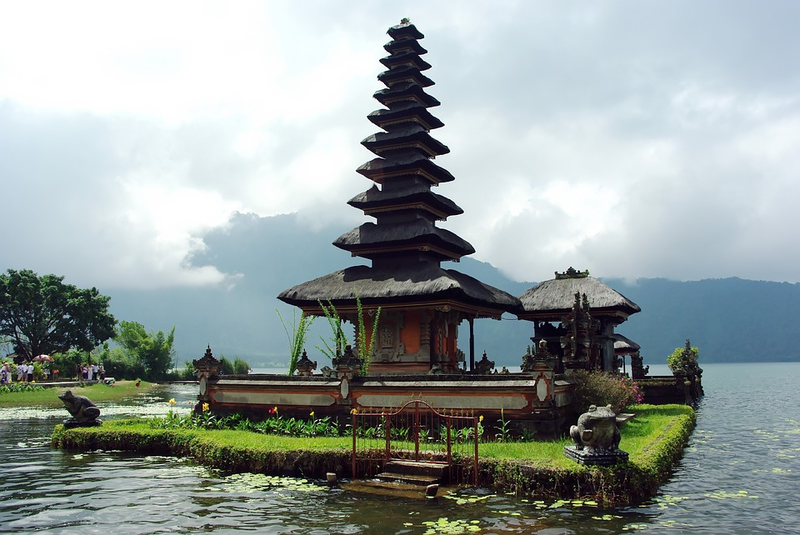 Bali is a gorgeous Indonesian island with scenery that comes close to looking like a postcard. Couples can explore the lush jungles or camp out on one of the white sandy beaches. Bali is famous for their island monkeys and guests can visit the Sacred Monkey Forest for a fun interaction with these native creatures. Whether you want to relax and soak up the beach and spa, or are looking for a more action-packed trip, Bali has the best of both worlds. This landlocked country lies at the heart of Indochina. The fact that it does not border the peninsula makes it unique to Southeast Asia. The country is rich in culture and history and has a tourism slogan of “Simply Beautiful”. Luang Prabang in Northern Laos is one of the most visited cities in the country. The charming town has preserved its heritage and is home to former royal palaces and more than 30 temples. Nestled in the mountains, the city is absolutely breath taking. Outside the walls of the city tourists also enjoy hiking to the stunning Tad Fane Waterfall and the infamous Plain of Jars. This Thai island was once a thriving fishing community and the simplicity and charm of the age still exists today. Koh samui is also one of popular beach wedding destinations in the world with the exquisite traditional Thai ceremony. 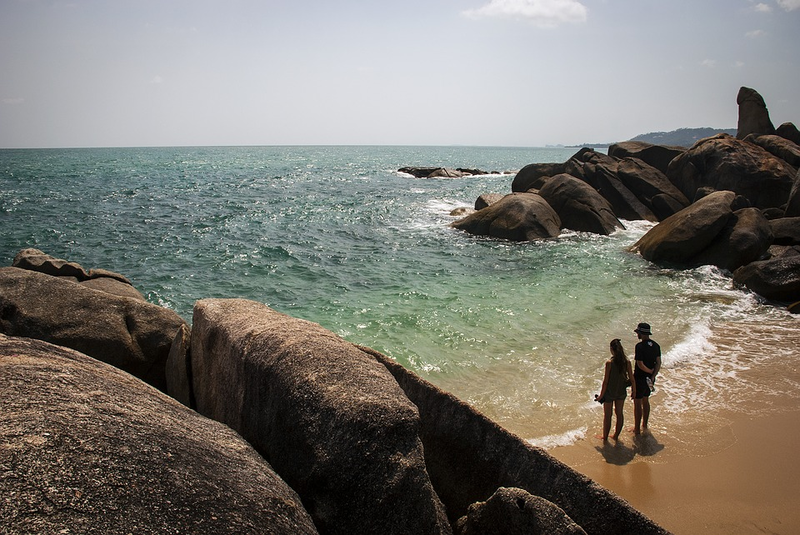 Couples can explore the Ang Thong National Marine Park that boasts several secluded lagoons or enjoy a relaxing day at one of the island’s famous spas. Mainland Thailand is also a great spot for adventure. Many tourists enjoy the famous riding elephant tours or the notorious Temple of Reclining Buddha. Vietnam is the perfect destination in May-October during its dry winter season. Couples who enjoy the romance of rain could also explore the historic country during monsoon season from April-November. 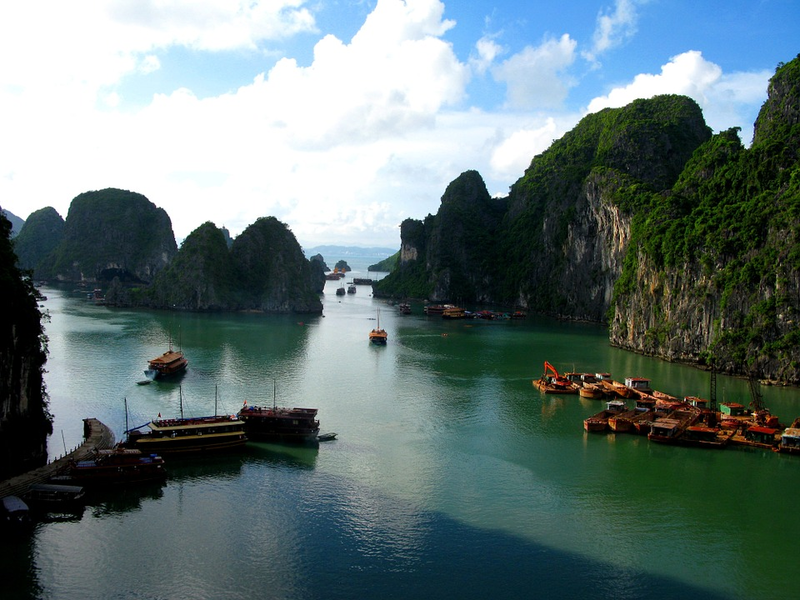 Popular tourist attractions and sites include the caves of Ha Long Bay and the Marble Mountain region. Vietnam is also one of the great holiday destinations in southeast asia. The country celebrates holidays based on the lunar calendar and hosts a wide range of festivals throughout the year. The New Year’s festival is one of the most popular and is enjoyed each year by tourists across the globe. This country is loaded with gorgeous romantic temples which is perfect for the more adventurous couple. 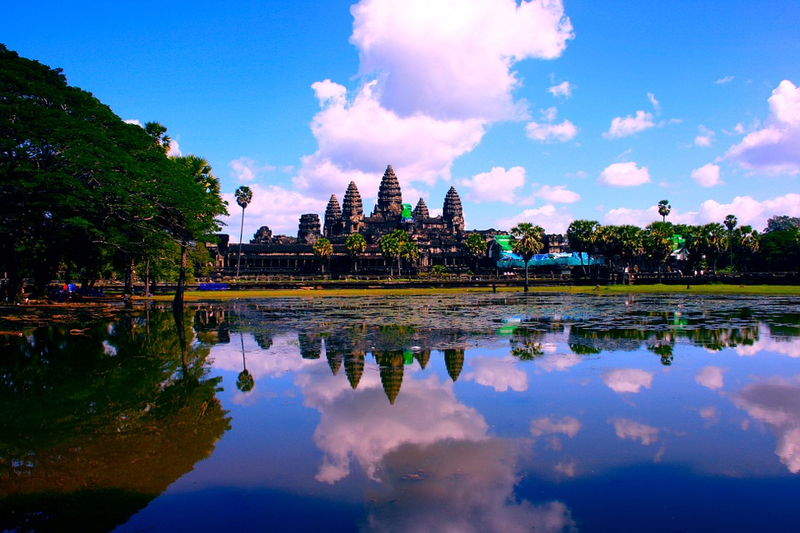 Siem Reap is one of the country’s most vibrant cities and boasts a French Colonial atmosphere that is completely conducive to a romantic getaway. The city offers plenty of off-road exploring mixed with delicious restaurants and unique shopping experiences. Watching the sun rise and set from the famous Angkor Wat temple site is a must-do for any visitor. For a taste of the local culture, tourists can also visit Artisans Angkor which is a local trade school for disadvantaged Cambodians. They craft and sell beautiful pieces which can later be purchased in the school’s shop. 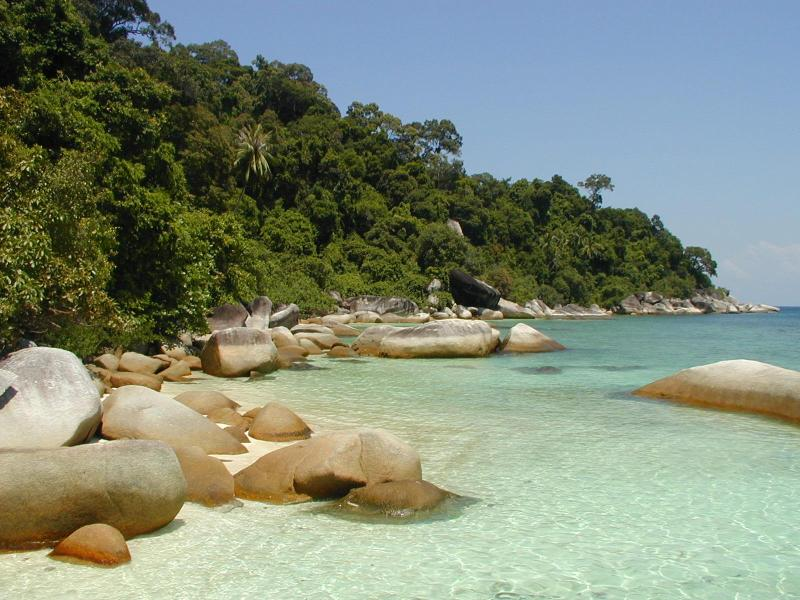 The Perhentian Islands are located on the coast of Malaysia and offer seclusion and privacy for any romantic getaway. 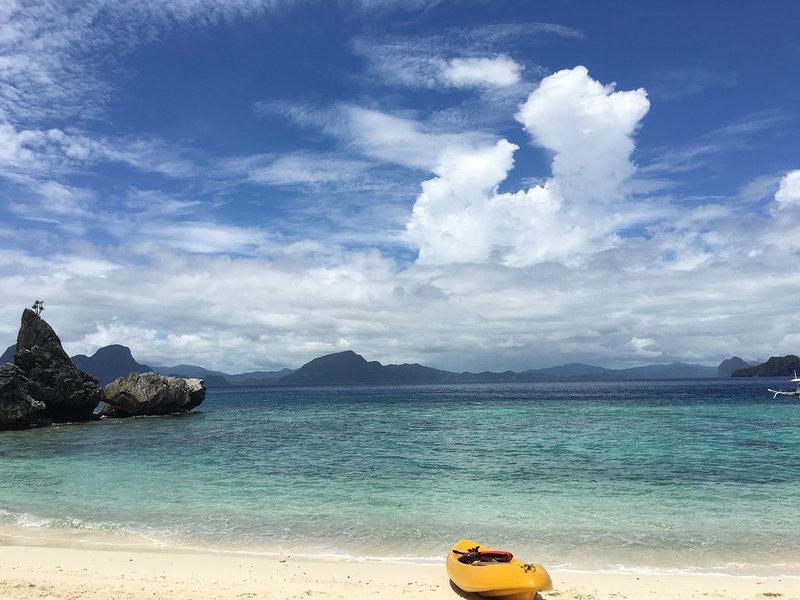 The relatively underdeveloped islands give off a castaway feeling while still offering enough civilization and activity to make for a fun trip. The islands offer luscious jungle greenery perfect for hiking and picnics. Scuba diving and kayaking are also popular activities on the islands. El Nido is one of the most popular destinations in the Philippines. The weathered limestone of the islands creates a protective barrier and keeps the coves and warm tropical waters of crystal clear complexion. The island is pretty secluded and requires an eight hour bus ride from the nearest airport or the expense of using the island’s private air strip. The white sandy beaches are perfect for a day of sun-bathing and the aqua water is conducive to scuba diving and snorkeling. The Pagsanjan Falls are a popular tourist site as well as the WWII monument and memorial at Corregidor Island. These are just a few of the many romantic weekend escapes for couples in the Southeast Asia region. The culture and scenery of these mysterious tropical getaways is an experience that can’t be missed! About author: Riya is an inspired writer. She is delighted to work with many aspiring small business owners. Riya loves cooking, crafting and yes! Sipping a good coffee. Check out her twitter, @sanderriya. Dubai is one destination that holds a new surprise almost every time you visit it. A city of biggest world records, Dubai is a world of glitz and glamour with a unique Middle Eastern touch that makes it distinct. Dubai fascinates every single of its tourists with its undying energy, warmth and optimism. Every trip to Dubai is one of a kind experience. Every trip to Dubai no matter how long or short must have a bucket list of a few best things to do and they must include the following 10 activities. No trip to Dubai is complete without shopping. One of the world’s biggest shopping destinations, Dubai is every shopper’s dream. If you have the will to hold back your wallet, we still guarantee, that you will splurge on shopping more than you generally do. The city has so much to offer, at such amazing prices that it’s almost impossible to hold yourself back. From the best of the world brands to the local handmade carpets, everyday shopping bonanza to the world famous Dubai Shopping Festival; shopping in Dubai is certainly one of the best things to do. Go Ski Dubai. 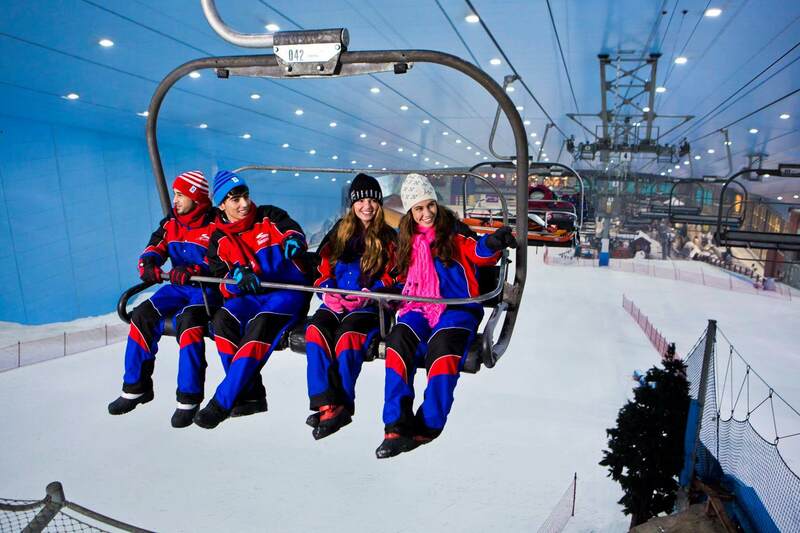 This world’s first and largest indoor ski resort beckons you for its 22500 square meters area consisting of 5 slopes of different steepness, the world’s first indoor black diamond run spanning an area of 400 meters, and various other features such as rails, boxes, kickers. There is a snow park play area too with toboggan runs, climbing towers, icy body slides, and also an ice cave. Situated inside one of the world’s largest shopping malls- Mall of the Emirates, Ski Dubai boasts of real penguins and allows exclusive interaction with them as well. 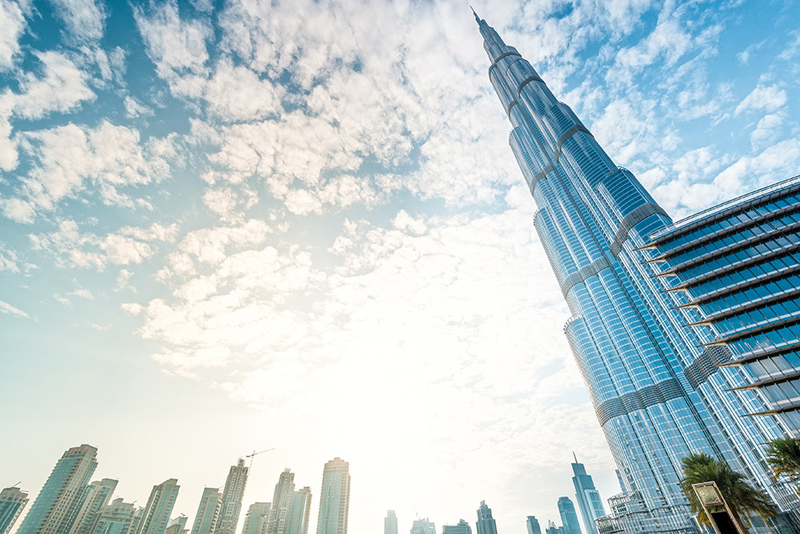 No matter how short is your trip to Dubai, one if its main attraction that should definitely not be missed is the tallest manmade structure of the world- the mighty Burj Khalifa. This 160 storey building houses various hotels, restaurants, offices, and residential houses and boasts of an observatory deck on its 144th floor. It allows the visitors to spend 30 minutes admiring the world around and below them from literally the top of the world. The building is a modern engineering marvel and its observation deck is an experience in itself. How often do you get to see the world’s largest suspended acrylic aquarium with a 10 million liter water tank? If it sounds unbelievable, visit the Dubai Mall and see for yourself on its ground floor. 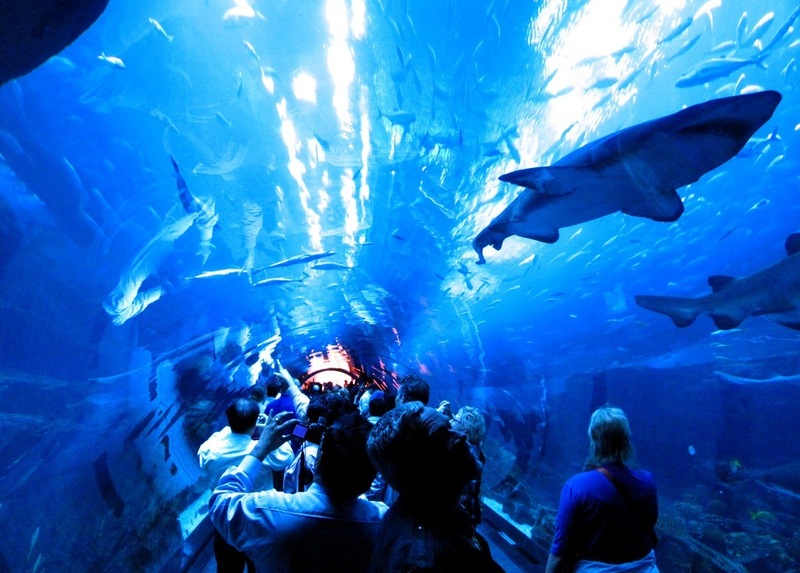 The aquarium is home to over 33000 marine animals including rays, huge sharks and snakes. Continue your exploration of the marine life magic with the underwater zoo that contains over 458 marine species visible at an 180 degree view. Go through the three mesmerizing ecological zones- Living Ocean, rocky shores, and rainforest and enjoy marine life like nowhere else. 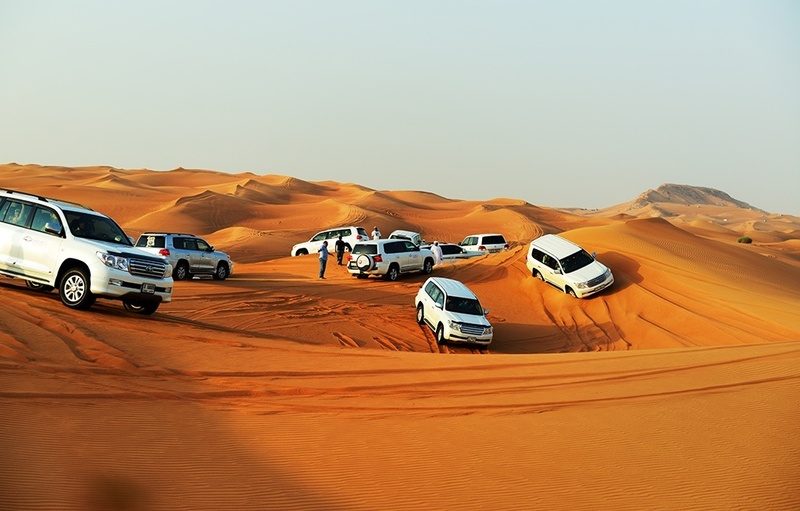 It is said that no trip to Dubai is complete without experiencing the Dubai Desert Safari, and rightly so, there’s hardly any other experience that clubs the best of adventure, leisure, luxury and enjoyment in one activity. Enjoy dune bashing, quad biking, overnight camping with sumptuous array of international cuisine, dance, music, entertainment and a night under the starlit sky; all of this only at the Dubai Desert Safari. 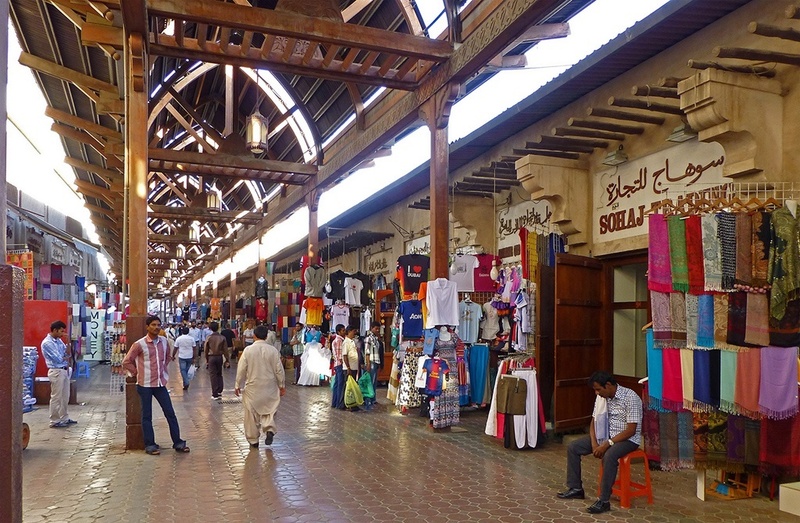 The souks of Dubai are the best places to get a feel of the local culture and people. 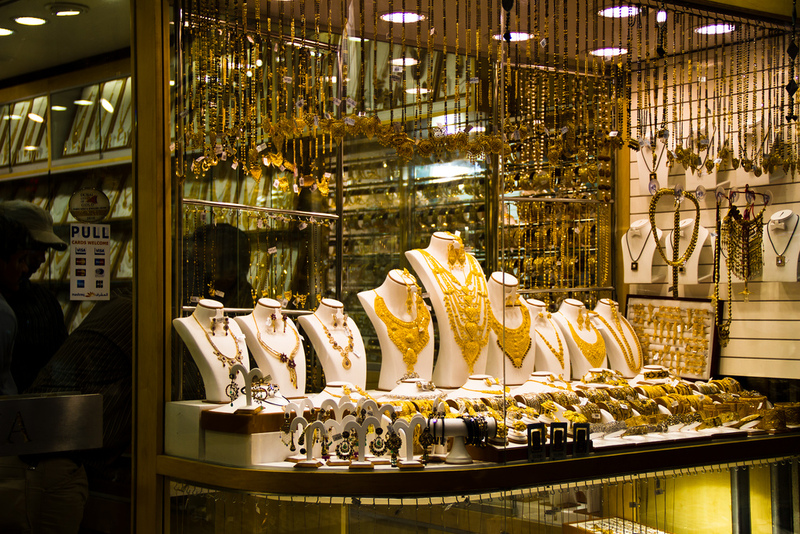 Some of the world’s best known souks like the Gold souk, the Spice and the perfume souks are in Dubai. The crammed streets with retail shops showcasing the best of their products at throw away prices, the electrifying energy that the bustling streets infects you with, the vibrancy of the place that grips you and the unbelievable bargains are best experienced than explained. 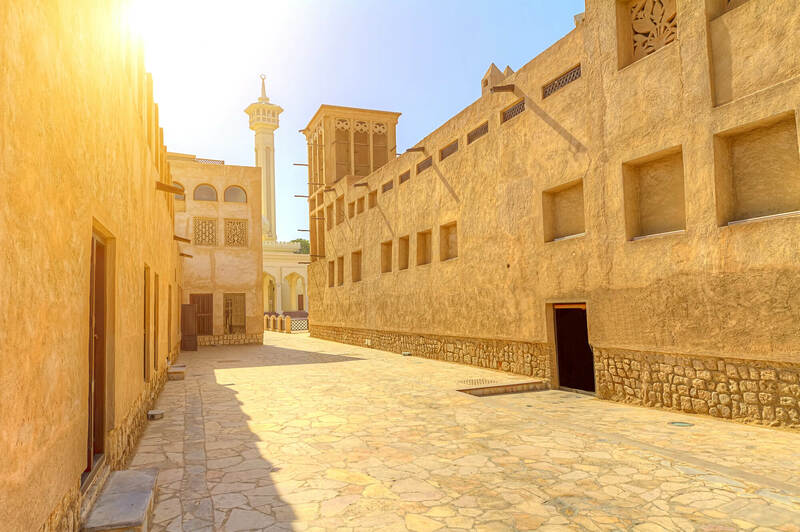 One of the most evocative areas of Dubai’s humble past, the Bastakia quarter lane instantly transports you to the Bedouin era when Dubai thrived on the basic necessities. Like a precious flower surrounded by modern skyscrapers, the historical Bastakiya district is one of the most picturesque Dubai heritage sites featuring the traditional Wind towers, and narrow pedestrianized areas. 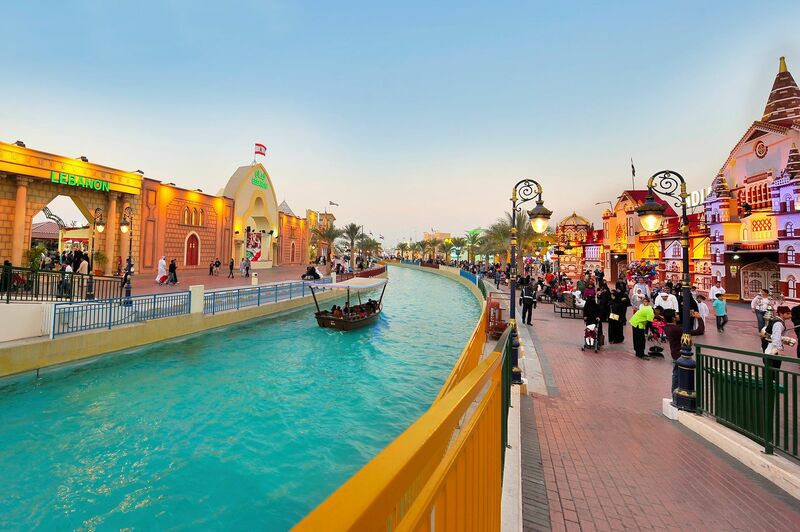 A premier leisure, shopping and entertainment destination, Global Village hosts about 6 million visitors every year during its tenure from November till April. Located at Dubailand- presumably the world’s largest entertainment destination project, Global Village is a carnival like theme park with colossal sections of over 70 different countries showing off their nation’s best. In addition, it has dance, stage and various cultural shows and a host of entertainment options for tourists across all age groups. 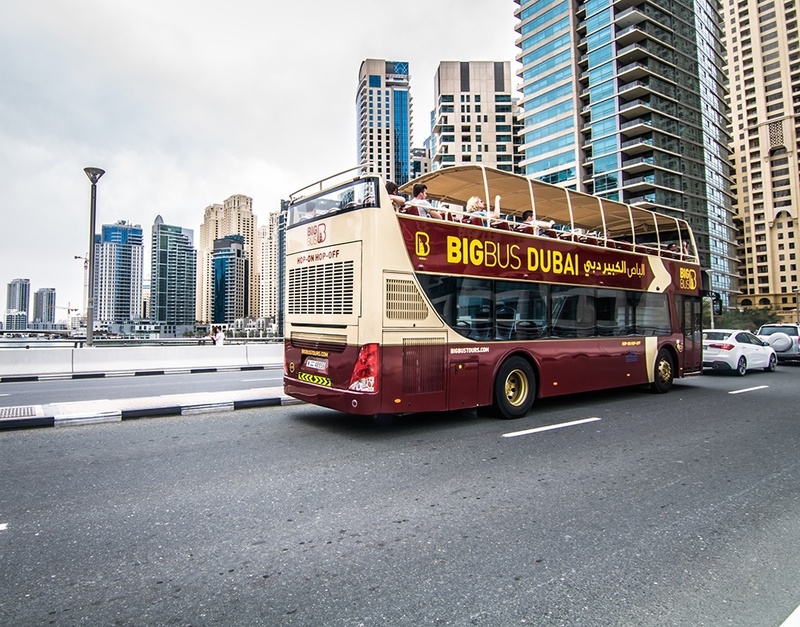 One of the ideal ways to see the best of Dubai tour is through the famous Big Bus Tour. With a choice of 12 recorded language translations, this open roof hop on/ hop off bus tour is the best way see Dubai’s best attractions along with an in- depth understanding of Dubai’s journey from a simple Bedouin village to a world tourist hub. Take their night tour to experience illuminated Dubai with live commentary. There’s no better place to understand the rich history and sensational transformation of Dubai than the Dubai Museum located at the historic Al Fahidi fort. From the 10 minute video that kicks off as soon as you enter the museum you pass though village exhibits and the mock souq that depicts the trading of that time with craftsmen at work. Dubai Museum ends with the archeology section that displays the best findings from the excavations since the time of the city’s early settlement dating back to 4000 years. Everything that you are able to see, feel and enjoy in Dubai is the result of its gutsy ambition, determination to make itself the best tourist destination, and the intellectual channelization of monetary resources. While the city is a cosmopolitan beehive during the day, after dark it becomes an illuminated party destination for one and all. Visit Dubai to enjoy a time of your life. 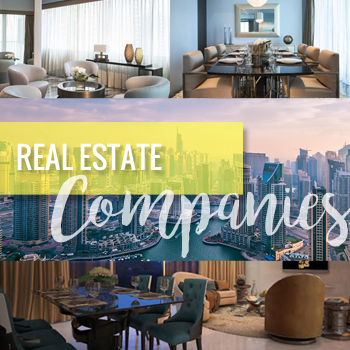 Compared to unfurnished apartments, furnished apartments, Dubai investors ought to know, provide a few distinct advantages including better ROI and better tenants. But before you decide if a furnished apartment is the best investment decision to make, you have to be attuned to your target market, the demand for this type of rental apartment, as well as the location of your property. Generally speaking, furnished apartments attract professionals who work on a contractual basis and families going on a vacation. It is important to underscore that location plays a critical role in your long-term success. Another key thing to consider is the size of your property. If you are planning on attracting workers with contracts, you should have a smaller property. Conversely, families going on vacation prefer multi-storey properties. What are the distinct advantages of furnished apartments over their unfurnished counterparts? Furnished properties offer higher yields compared to unfurnished properties. The main reason behind this is that tenants are more than willing to pay more in exchange for convenience. Furthermore, short-term leases are (more often than not) not covered by traditional leases and regulations which apply to longer leases. Furnished apartments are often leased for shorter periods. As a landlord, this gives you ample flexibility — a definite advantage if you are keen on using your apartment for vacations or other purposes. Furnished apartments also tend to attract better tenants. This is highly likely if you own a property in a city centre and acquire professionals as tenants. These tenants are less likely to damage your property. Because your tenants do not need to furnish the property and bring in big furniture, they are less likely to damage the walls of your property. But along with the advantages, prospective investors should also know what the disadvantages of furnished apartments are. Furnishing an apartment means that you will need to invest a sizeable amount of money from the onset. And that investment will not be a one-time thing. Over time, you may need to replace a few pieces inside the apartment. Furnished apartments have a higher turnover rate influenced by different market forces including the weather and season, the holidays, currency exchange rates and others. That means that you will have your hands full looking for new tenants. Not every tenant is on the hunt for furnished properties as many have possessions that they wish to bring with them. Be aware that your target market with a furnished space may be considerably smaller. If there is one thing that Dubai is known for, it has to be luxury. The moment you step out of your plane and onto their airport, you can immediately see evidence of that. 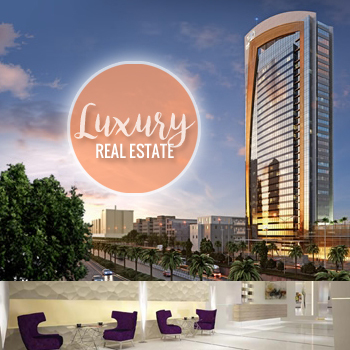 Real estate is thriving in Dubai and that is why there are many investors who are putting their money in luxury hotels. 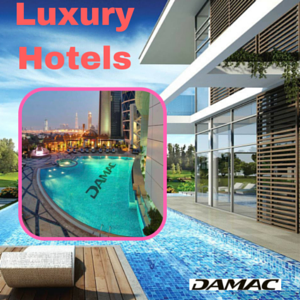 But as guests in Dubai, or even citizens of Dubai, why should you opt for these expensive types of accommodation? Some may think that it is a waste of good money, but there is a good number of people who think that it is totally worth it. So, which group should you belong to? You have been working hard since you finished your bachelor’s degree. It is your goal to have a nice house that you and your family could live in, and a good car. However, let us ask you this: Do you think you deserve a world-class accommodation and service after all you have done? Do you deserve luxury when you and your family go on vacation? Of course, you do. You should not ever deprive yourself of these when you know you have been working hard for it. Value for money. Developers of luxury hotels know that details count. If you are paying a lot of money for your accommodation, then you should be getting your money’s worth. Some details may not seem important but guests will appreciate these. Luxury hotels, for example, would give their guests a personalized welcome amenity that will make the guests feel special. Attention to details is very important. Great service. Staff at a luxury hotel are trained to give exceptional service to its guests. Not only will they accommodate your requests, but they are also trained to anticipate your needs especially if you are a regular. They keep notes and the next time you visit, these needs are met without you asking for it. VIP perks. Luxury accommodation definitely has its perks. These perks are not the same for each hotel, but you can be rest assured that there will be some for every valued guest. Checking in at these types of hotels always go smoothly and without hassle. Other hotels may have issues, but never with luxury accommodation. Best rooms with the best view. Luxury hotels will always give you the best room with an amazing view of the city. Sleep is also better as the mattresses are of the highest quality. About the author: Oliver Finney is an enthusiast of the real estate industry who loves to continuously learn and share knowledge as well about the vast and comprehensive world of the real estate business, off and online. He has first realised his passion for real estate at the age of 18 after attending an auction. Since then, he has continued to be an avid real estate enthusiast and has recently made the final step to earning his real estate license. He visits sites like http://www.damacproperties.com. Another year is coming to an end. December has stepped in and within a few weeks the whole world around the globe will be welcoming the New Year. Most of you must have already started preparations to welcome New Year and must have even decided on New Year resolutions as well! Bangalore, which is known as the silicon valley of India is one of the best places in India to dump the past and to step into a New Year. A lot of celebrations are held every year in the city to entertain people for the New Year Eve. Pubs, Restaurants, community groups and even the city hold a lot of activities till late night on the New Year eve, so that Bangaloreans get a chance to celebrate their New Year in the most auspicious way they like. Dance, music, parties and good food are the best ways opted by any Bangalorean to welcome New Year. Do visit Bangalore this time if you want to celebrate your New Year in a rocking style! Roam around in Bangalore safely even during nights. Stay safe by booking your rooms via Oyo Rooms. You will get premium rooms when all facilities including WiFi and free buffet breakfast. Mumbai is the hub for people who have a lot of dreams and aspirations and the city had never let down anyone for the same till now. This city never sleeps and when it comes to New Year celebration, nothing is better when compared to the way Mumbaikars celebrate it. It is one of the most sorted after places by people from various parts of India to celebrate New Year. So, why not Mumbai this time? Andaman & Nicobar Islands is not only a perfect destination for honeymoon but, it is also a great place to welcome New Year. The place holds the credit of having not only scenic beauty but some wonderful New Year celebrations as well. Forget celebrating your New Year inside any hotel or club house. At this place, you can prefer enjoying your New Year Eve on the beaches, islands, resorts and even yachts. Cool isn’t it? Alike Andaman & Nicobar Islands, Goa is also one of the best places to chill out this New Year. The place is already known for its night parties and clubs. So what more you need apart from loud music, full on dance on the floor, great cuisine and the booze? There is no other better way to welcome the New Year with your loved one in such a place where there is nothing except full on fun and frolic. Enjoy the beaches, full night parties, good food and lots more this New Year in Goa. Book your flights cheaper via Yatra for the New Year celebration at the earliest. Munnar is again a honeymoon destination which is also known for its scenic beauty as well. And the month of December will be filled with fog and mist and so is a great choice to have a cozy New Year Eve with campfire and lots more other activities. It will be a great way to revive your romance, to ignite it for the upcoming year. Shimla is one of the most popular hill stations in India. So, you must be wondering what you will do on the New Year Eve in the midst of the snow? Exactly, you guessed it right. You can welcome the New Year in the snow. Book a cottage or a resort and then enjoy the New Year Eve in the snowfall. McleodGanj lies on the bed of the Himalayas. This is one of the most visited places by tourists especially during New Year season as the place will have both snow and rain. It is indeed a great experience. Whoever who prefer to have a snowy New Year, you should definitely head to McleodGanj. Udaipur is a romantic destination indeed but, it has some great things to offer during New Year as well. The entire place is a symbol for love and all those people who love to be in a city that highlights Indian culture, Udaipur is the best choice. The whole place will be lighted and there will be amazing fireworks as well. Kasol is again a place good for nature loving people. Get away in the beauty of this place at this New Year for a new beginning. You can party throughout the night in the midst of the hills and the snow and can make your New Year eve the most memorable one. Last but not the least, Puducherry is a great option as well to celebrate your New Year eve. A lot of events are organised by various forums and organisations to welcome New Year. So, hang out with your family at this place for some great moments to welcome the New Year that can last for a lifetime.